Today's Prize: One bottle of Mackinaw Trail's 2010 Syrah for $.01. Wine is in a Vintner's Edition signed bottle — one of the first 24 bottles of the lot — with tasting notes from the winemaker. 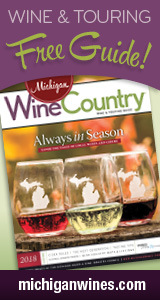 Must be picked up by winner at their Petoskey winery.